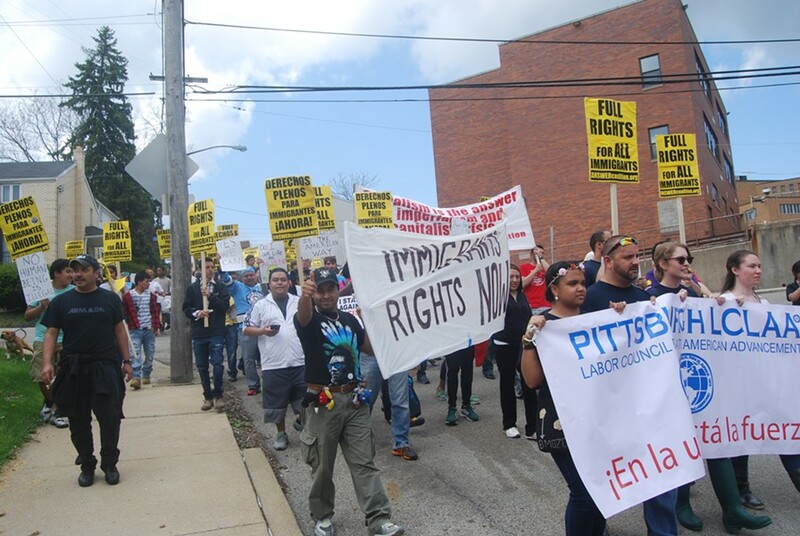 Pittsburgh Mayor Bill Peduto said today that he is working to help an undocumented Mexican immigrant, whose plight was first revealed in a City Paper story last month, avoid deportation. 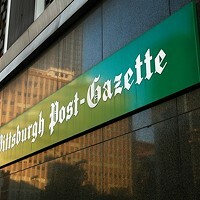 In addition to the story, CP ran an editorial calling for local public officials to help Esquivel-Hernandez, a Pittsburgher for the past four years who has been very active in the community. After a rally Friday in support of Esquivel-Hernandez, Peduto says he has been working on Esquivel-Hernandez's case. Peduto said that he recently met with Esquivel-Hernandez’s wife along with advocates who are fighting to keep him in the country. Peduto also said that the Esquivel-Hernandez family has met with U.S. District Attorney David Hickton, whose office is prosecuting Martin for illegal re-entry. Peduto added that many local politicians, like U.S. Congressman Mike Doyle, have been contacted about Esquivel-Hernandez, and that the family will meet with Democratic Pennsylvania U.S. Senator Bob Casey sometime in the near future. Peduto said that his office was able to find Esquivel-Hernandez a “top immigrant lawyer” who has taken up the case pro bono. “Number one, we are trying to get the support around what can be done legally and what [it] is that is required in order to get there,” said Peduto. Esquivel-Hernandez doesn't have a criminal record apart from driving without a valid license and has been an advocate for Latino rights in the region. He works in residential construction and has three children (his youngest son is an American citizen). He has received letters of support from his employer, college professors, church leaders and public-school teachers who teach his daughters. The sole charge against him is illegal re-entry, a federal felony. After four failed attempts, Esquivel-Hernandez re-entered the country to rejoin his family in Pittsburgh after they all fled gang violence from a slum in Mexico City. 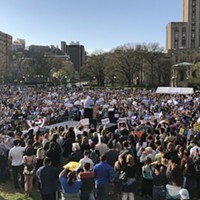 And follow CP's live coverage of the People's Convention march through Downtown Pittsburgh, where advocates will bring up issues on the environment, police brutality, immigration and more.